Hiplife is a popular music genre in Ghana that mixes hip-hop beatmaking and rap with highlife music, proverbial speech, and Akan storytelling. In the 1990s, young Ghanaian musicians were drawn to hip-hop’s dual ethos of black masculine empowerment and capitalist success. They made their underground sound mainstream by infusing carefree bravado with traditional respectful oratory and familiar Ghanaian rhythms. 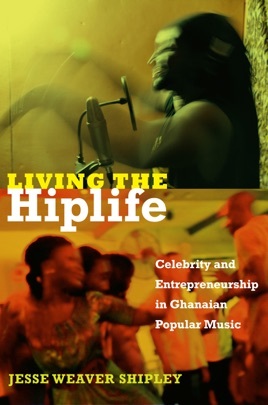 Living the Hiplife is an ethnographic account of hiplife in Ghana and its diaspora, based on extensive research among artists and audiences in Accra, Ghana’s capital city; New York; and London. Jesse Weaver Shipley examines the production, consumption, and circulation of hiplife music, culture, and fashion in relation to broader cultural and political shifts in neoliberalizing Ghana. Shipley shows how young hiplife musicians produce and transform different kinds of value—aesthetic, moral, linguistic, economic—using music to gain social status and wealth, and to become respectable public figures. In this entrepreneurial age, youth use celebrity as a form of currency, aligning music-making with self-making and aesthetic pleasure with business success. Registering both the globalization of electronic, digital media and the changing nature of African diasporic relations to Africa, hiplife links collective Pan-Africanist visions with individualist aspiration, highlighting the potential and limits of social mobility for African youth. The author has also directed a film entitled Living the Hiplife and with two DJs produced mixtapes that feature the music in the book available for free download. 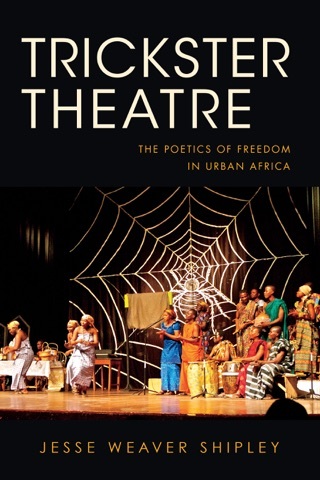 An ethnographer, sociolinguist, filmmaker of Living the Hiplife, and Haverford College anthropologist, Shipley offers up a heady mix of political, business, and music history, of entrepreneurship and converging genres, intermixed with reportage and personal contacts as he explores the junction of celebrity, commerce, and politics in contemporary Ghana. As he assesses the impact of hiplife music a transglobal genre developing as the musicians move between Accra, London, and New York upon Ghanaian social and cultural life, he poses a central question: How does an artist as entrepreneur convert musical labor into fame and economic value? Musicians receiving particular attention include Reggie Rockstone, Rab Bakari, Gyedu Blay Ambolley, Obrafour, Mensa Ansah, and Mzbel, a rare female performer in this overwhelmingly male genre. Shipley cautions the reader early on that the book is not a history of hiplife nor does it attempt to comprehensively catalog artists, songs, and stylistic differences. While his considerations of seminal figures and specific texts assist the general reader, absent tonal familiarity it is impossible to hear it, and that s a bar to listening to Shipley. However, scholars of contemporary African culture and aficionados of hiplife will find enlightenment.